Musically CALIBRO 35’s inner influences like Ennio Morricone, listen for instance to the epic journey of the album’s end credits “Travelers”, Luis Bacalov and David Axelrod are still there but are now mixed with elements from afrobeat or cosmic jazz. “Psycheground” sounds like Tony Allen involved in writing a score for a vintage Hollywood production while Sun Ra lurks on “Modo”. Everything is mixed up with new influences from modern musical languages. References to Jaga Jazzist, Budos Band or Alternative Jazz and Alternative Hip Hop new acts such as Makaya McCraven, Yussef Kamaal, Oddisee can all be found on the album. In tracks such as “Modulor “you realize that Decade is certainly not a point of arrival and expresses the ambition of the band to look further and evolve. All classic Calibro’s vintage instruments such as clavinet, eco, analog synths, fuzz guitars are now supported by new ones such as Dan Bau, Balafon and Waterphone (“Polymeri”) in the band’s new wall of sound. Thanks to the enlarged line-up and the orchestrated parts involved, which pushed the band to experiment new methods of composition, Calibro 35 on “DECADE” sound strong, full and tight as never before. Active since 2008 CALIBRO 35 enjoys a worldwide reputation as one of the coolest independent band around. During their ten years career, they have been sampled by Dr. Dre on his Compton album and Jay-Z, they shared stages worldwide with the likes of Roy Ayers, Muse, Sun Ra Arkestra, Sharon Jones, Thundercat, Headhunters and as unique musicians they’ve collaborated with, amongst others PJ Harvey, Mike Patton, John Parish and Stewart Copeland and Nic Cester (The Jet). 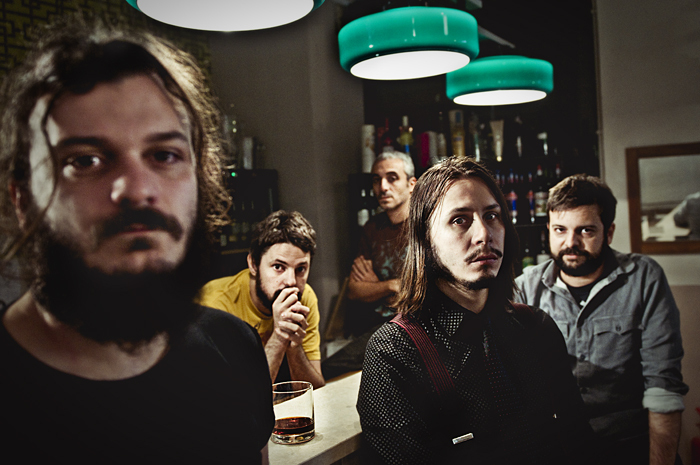 Described by Rolling Stone magazine’s as “the most fascinating, retro-maniac and genuine thing, that happened to Italy in the last years”, Calibro 35 now count on a number of aficionados worldwide which includes VIP’s fans such as Dj Food (Ninja Tune), Mr Scruff and Huey Morgan (Fun Lovin’ Criminals) among others.